Crowdfunding has existed for a long time and in many different shapes. Throughout time it has evolved, always pushing the boundaries and trying to be better, more efficient. Until recently, Indiegogo and Kickstarter were the cheapest, most efficient ways to start your crowdfunding campaign and start your project. 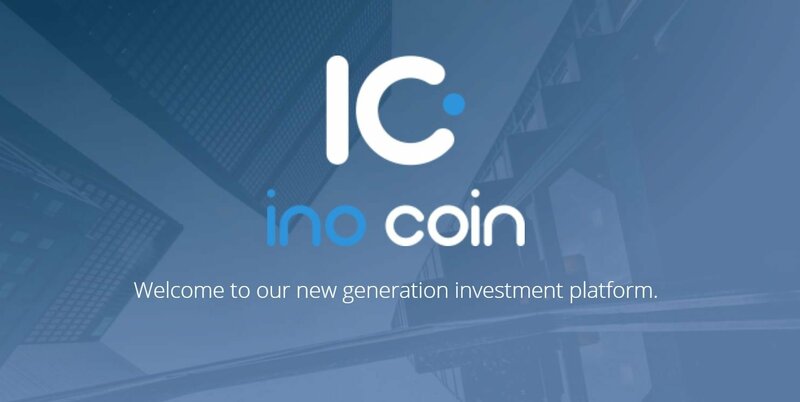 Well, that has changed with the introduction of blockchain technology and our project InoCoin and it’s innovative platform the InoCoin Platform. Well, first of all, we would like to point out the security of both the funds and the private information of our clients. Blockchain technology has made security much easier and cheaper, making it the perfect solution for both platforms and its users. Because of that, we at InoCoin can strive to offer our users the best service, without taking the funds they worked so hard to raise. What are we talking about? Read on. Unlike many of our competitors, such as Indiegogo and Kickstarter, we at InoCoin don’t impose any fees on our users. Registering at InoCoin and listing your project in order to raise funds is completely free. Blockchain technology has enabled us to provide such a great service, for free. On the other hand, our competitors are not so generous. If you reach your goal, the crowdfunding platform Indiegogo will take a 4% cut of the funds you raised. On the other hand, if you fail, the fees jump to a ridiculous 9% of the amount raised. Kickstarted, on the other hand, is a bit more “generous”. They take 5% out of the amount raised if you successfully complete your campaign, while if you fail you are charged no fees. One thing a lot of people forget is the payment processing fees of traditional payment systems. They go up to 5 % on every transaction! So essentially, every time you hold a crowdfunding campaign on these platforms, you are denied up to 10%(Kickstarter + payment processor fees) or up to 14%(failed Indiegogo campaign and payment processor fees). That’s a lot of money for startups who desperately need each and every dollar to succeed. Exactly because of this, we decided to host a feeless platform where the main purpose of the platform is helping our users succeed. On the InoCoin Platform, you are raising fund for yourself, not for us. We charge no fees while offering security, privacy, speed and ease of transactions. Along with that, we offer greater transparency by utilizing blockchain technology to broadcast our transactions for everyone to see. You don’t have to wonder where all the money is going, nor do you need to wonder if we’re taking a cut out of the funds raised. It’s all there for our users to see, directly on the blockchain. We utilize the Ethereum blockchain, along with our ERC-20 token INO to provide the necessary transparency so many similar platforms lack. Our token can be purchased directly off of our platform, so there is no hassle for investors to get started right away. For a more detailed guide on how to buy INO tokens, you can visit this link. Well, after reading this article, we’re sure that you’ll regret not hearing about InoCoin earlier. In this modern era, there is no excuse for not utilizing modern platforms such as ours to get the best and most effective service for your innovative projects. So, don’t wait anymore, start raising funds for your project completely free. Why dont you list you project here and send all the traffic to InoPlatform, you can collect money for yourself, but not for us!